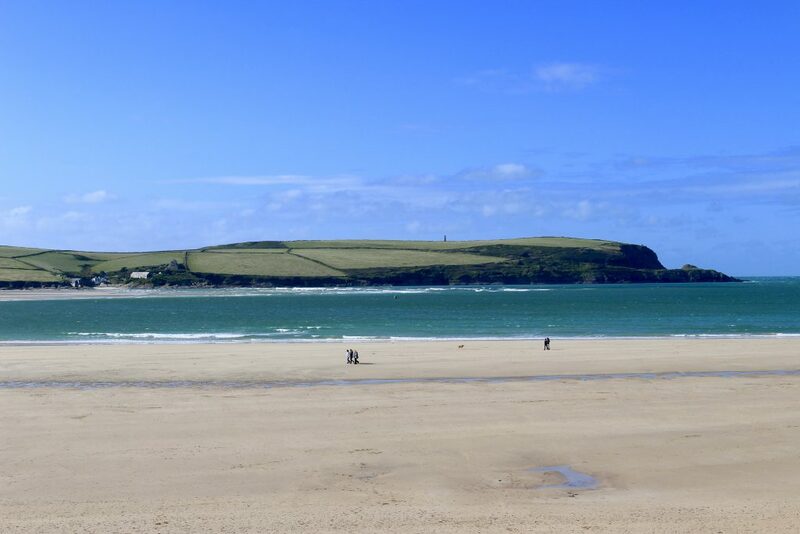 Can you believe it that after 11 years living in the UK I have never been to an English beach? 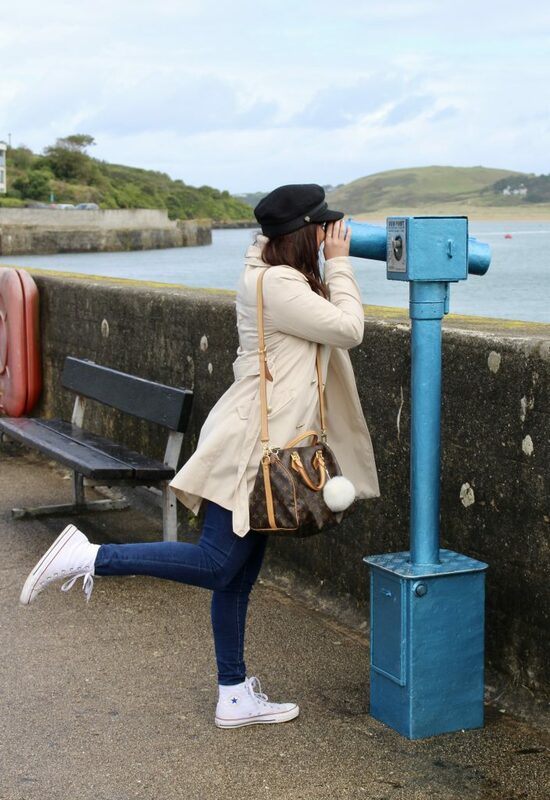 Safe to say I was really excited for our 3 day trip to Cornwall last week. 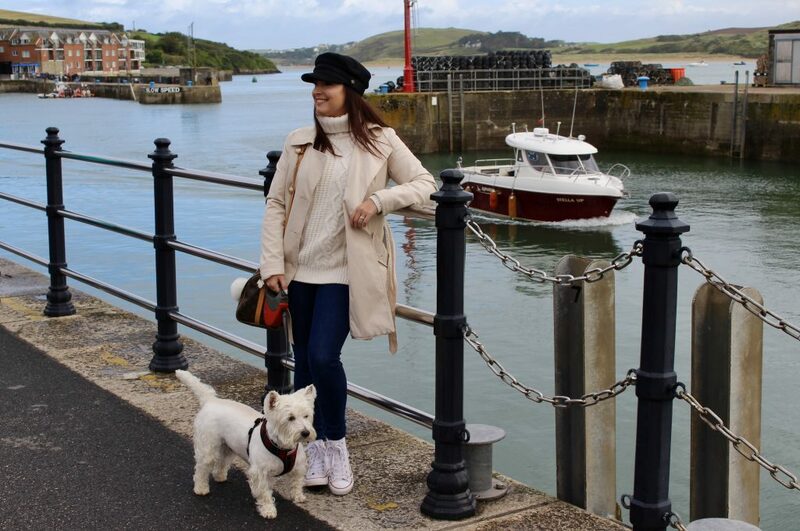 I also have never stayed in a cottage with an open fire so this trip was full of first experiences for me. 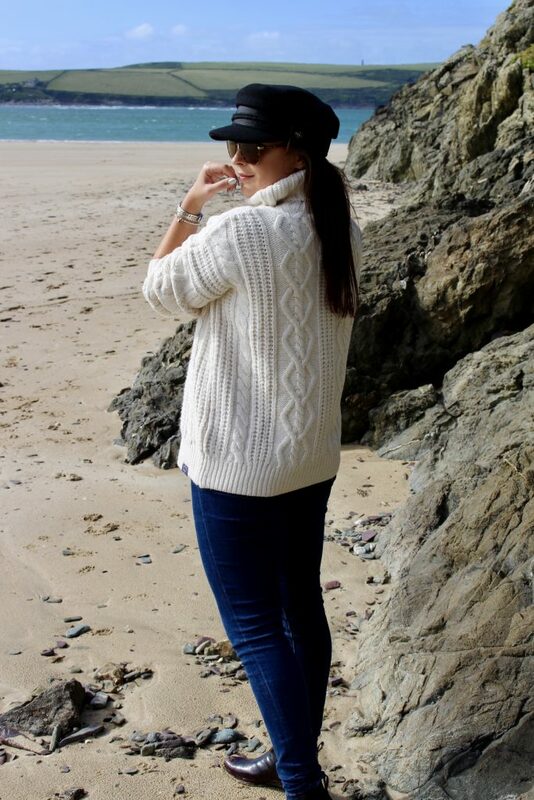 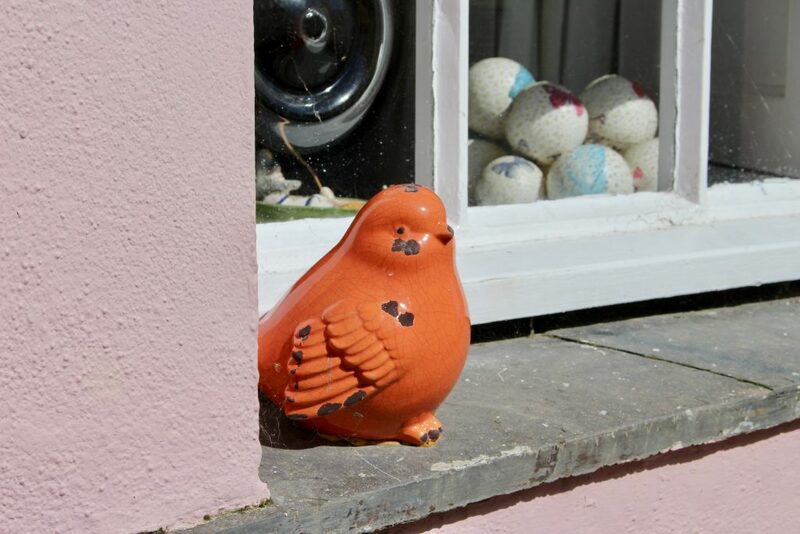 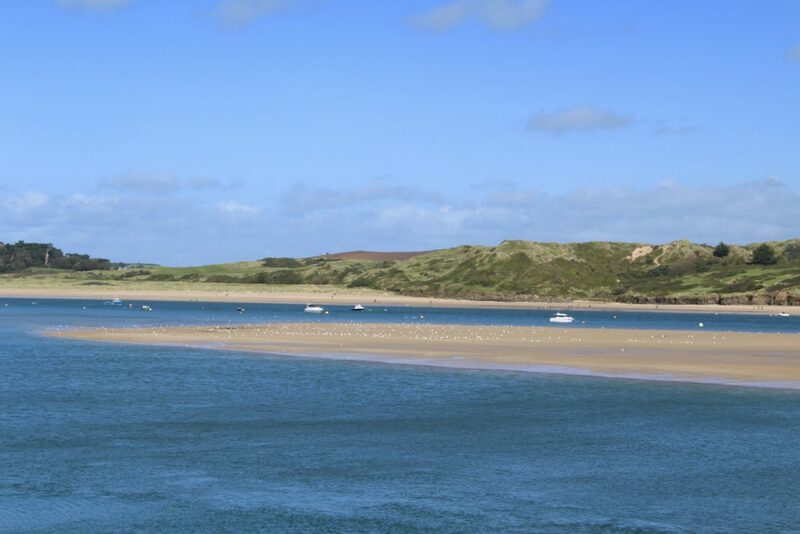 Our cosy getaway home was located 2 miles from Padstow in Cornwall. 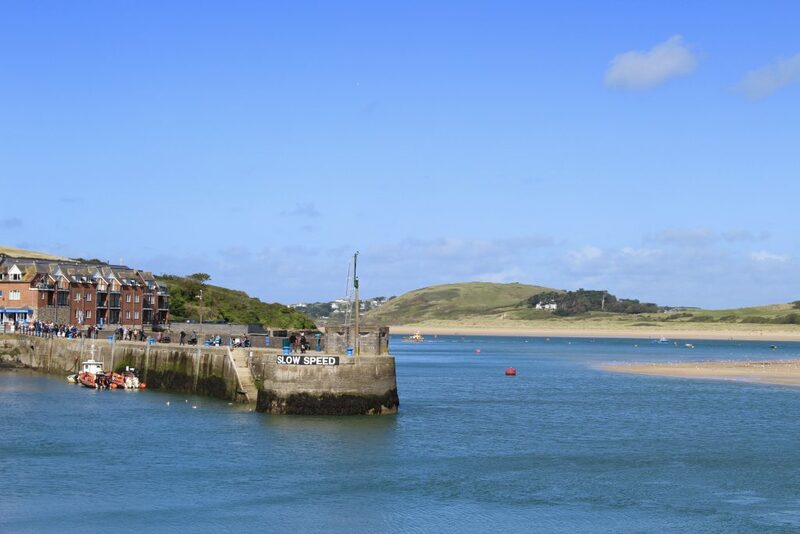 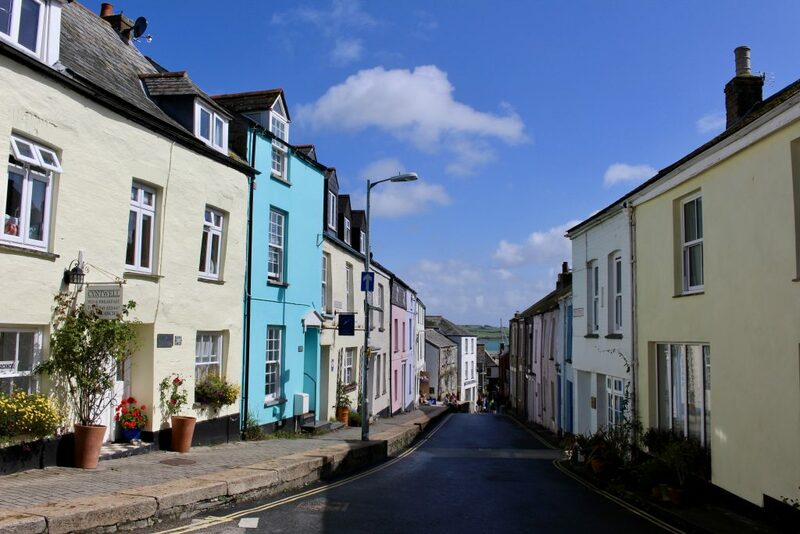 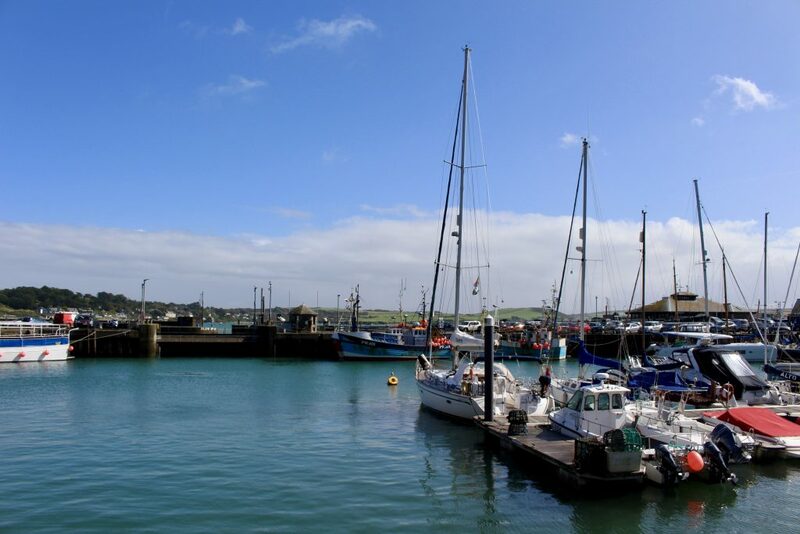 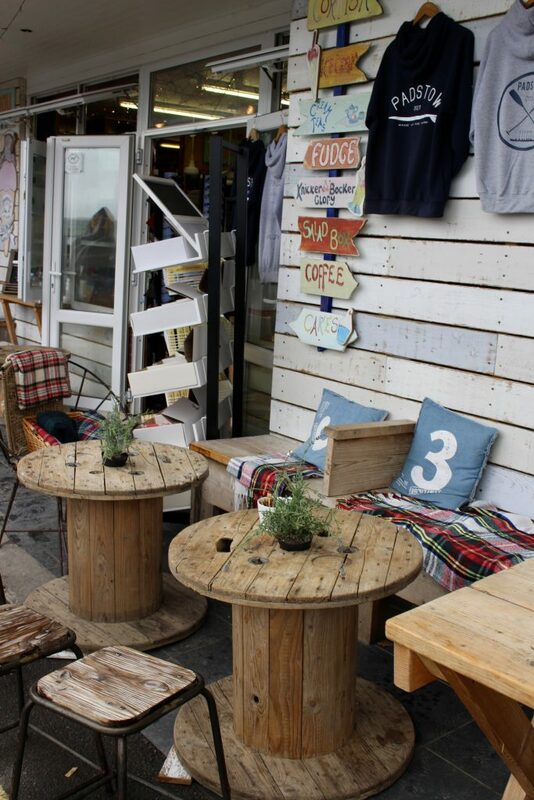 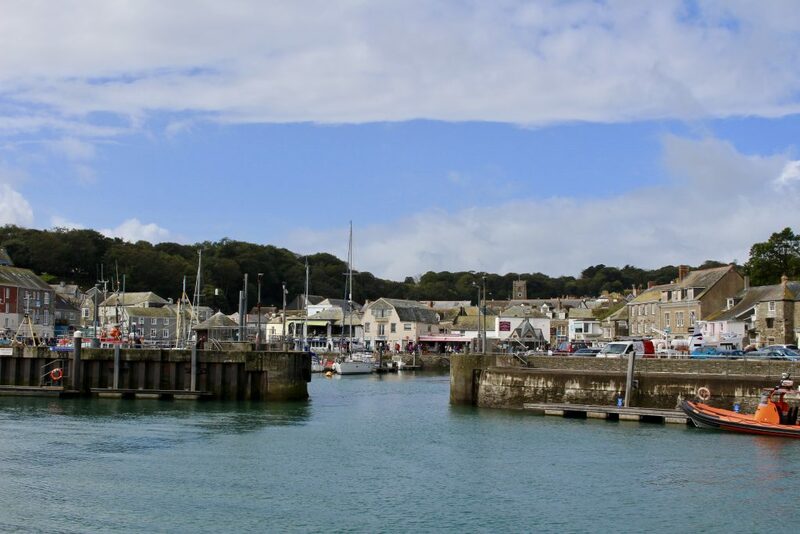 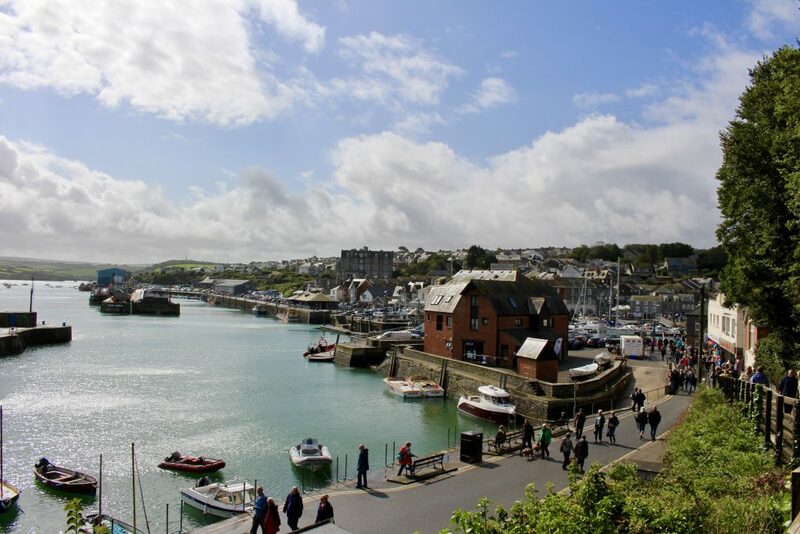 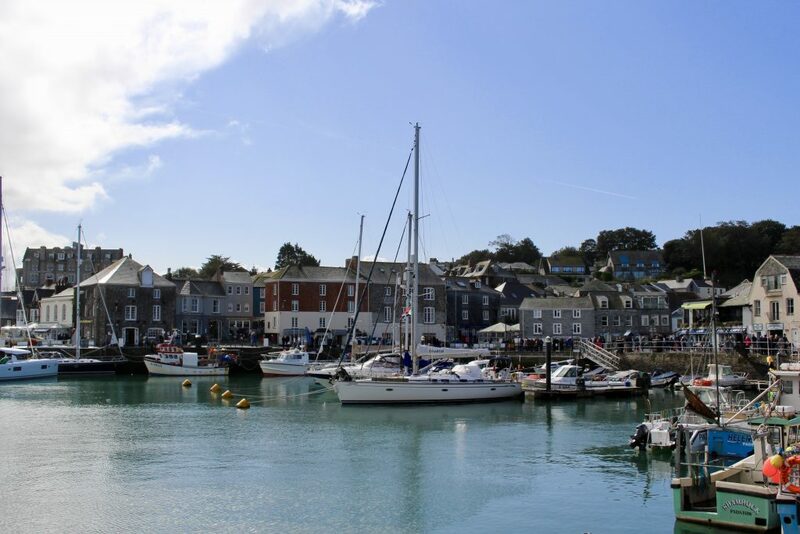 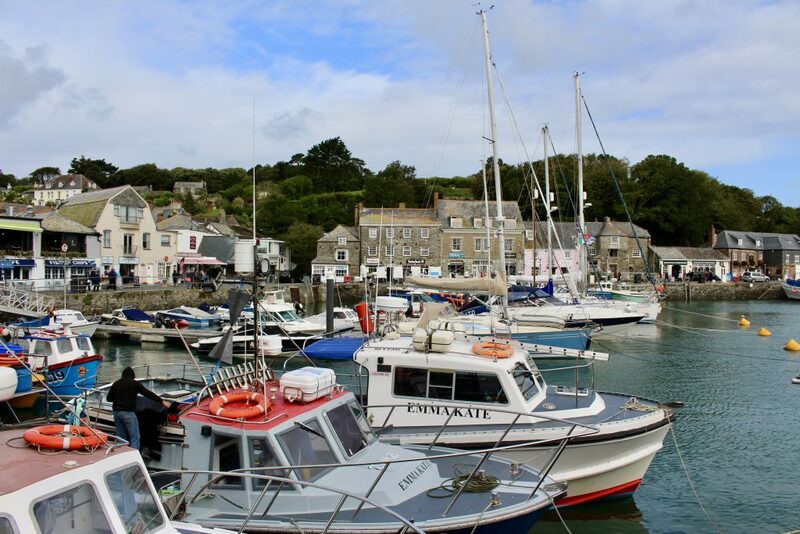 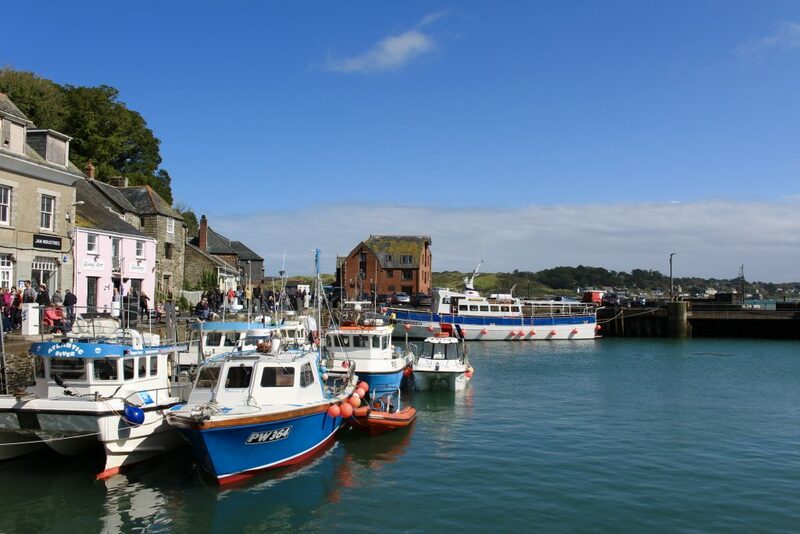 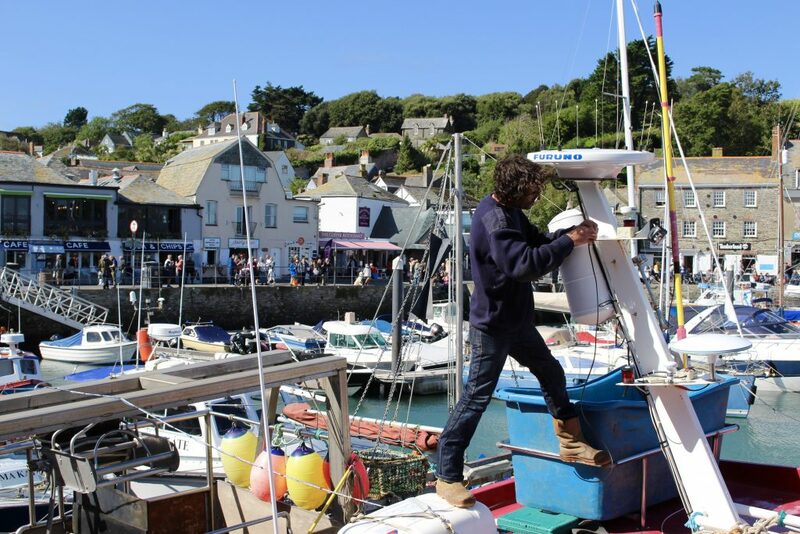 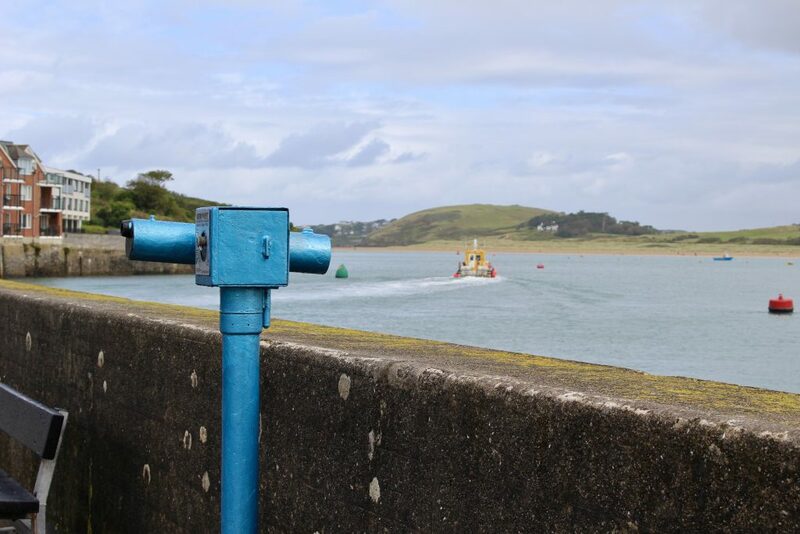 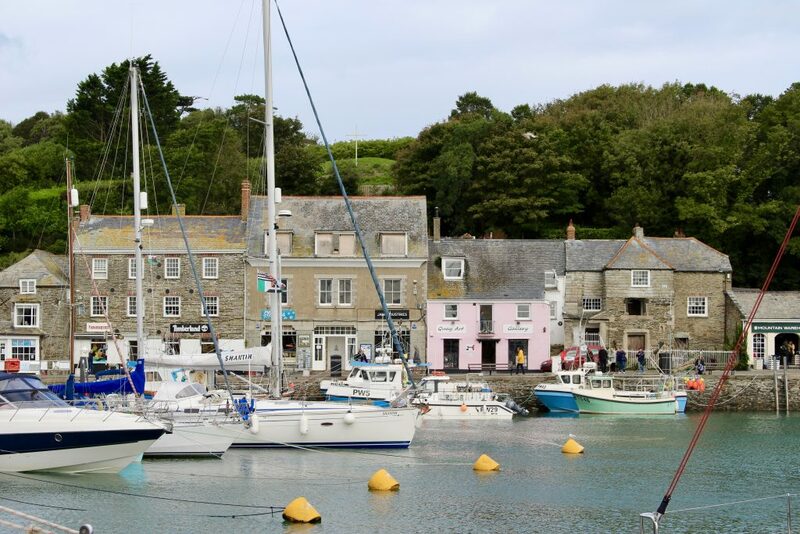 With its colourful houses, dog-friendly cafes and restaurants and a busy Harbour full of life, Padstow was easy to fall in love with. 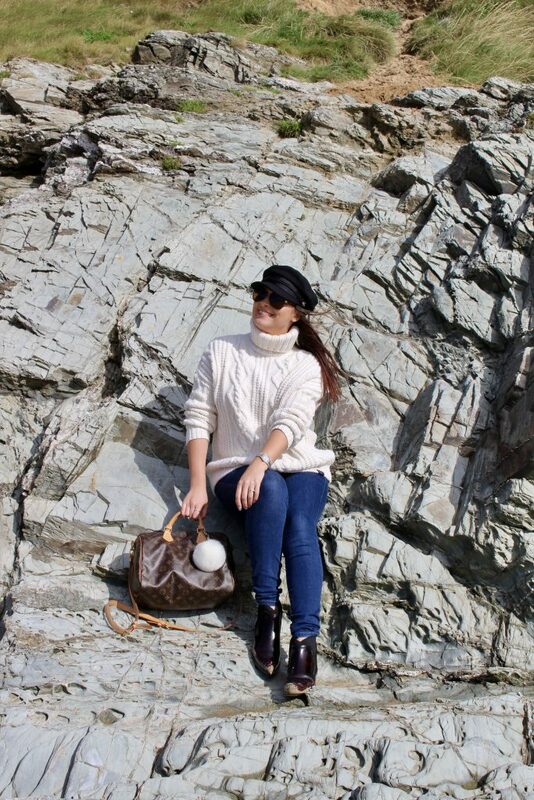 After filling our tummies with an English breakfast and cream teas we took a ride to The Rock (not that one). 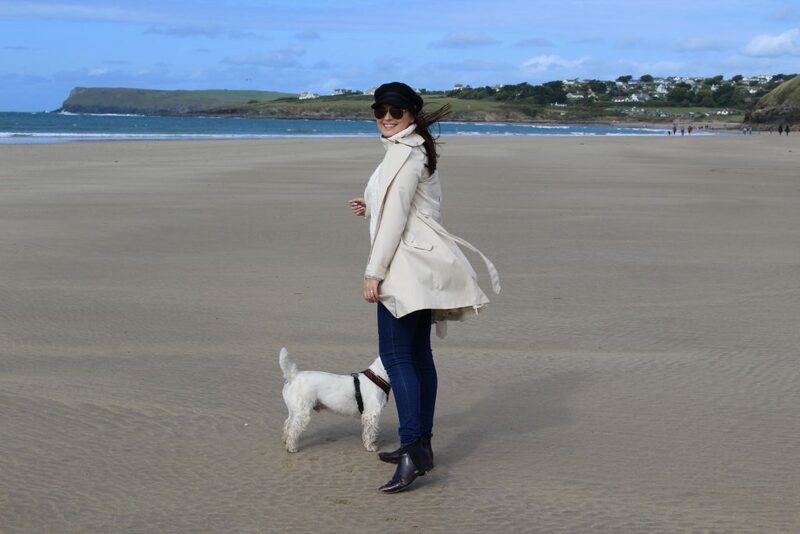 Walking along the beach I could hardly believe I was still in England. 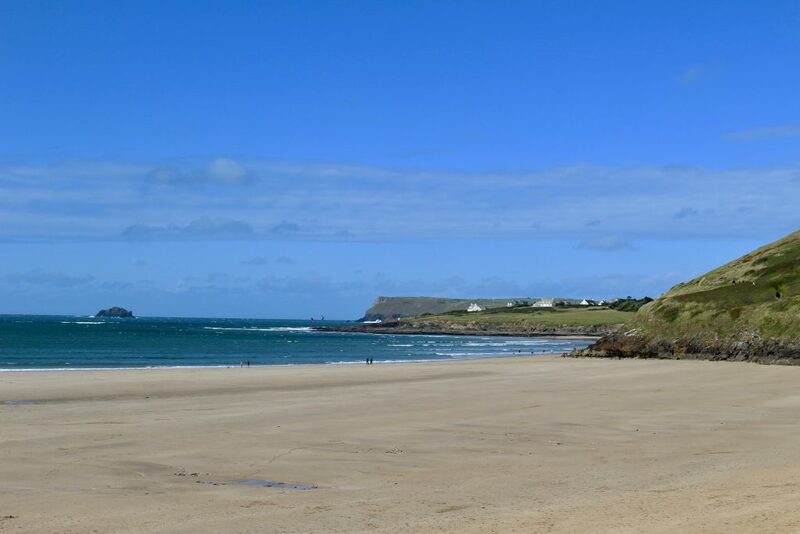 The sand was so soft and the views around us were spectacular. 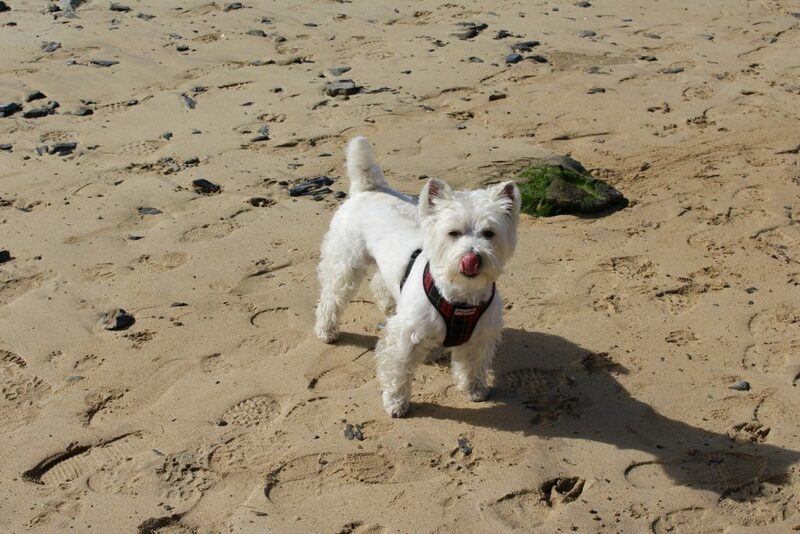 This was also the first seaside trip for our dog Stewie and he took to it like a duck to water (or a Westie to the sea, rather) it was so enjoyable watching him running around the beach and making friends with other dogs. 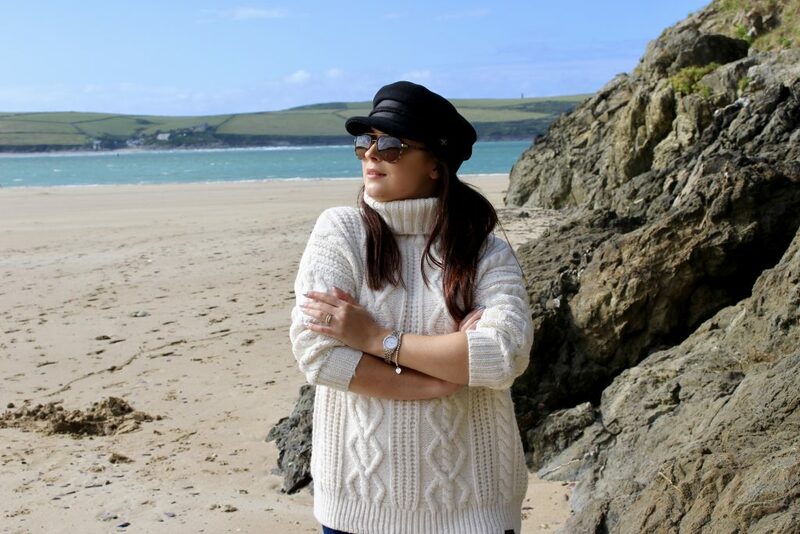 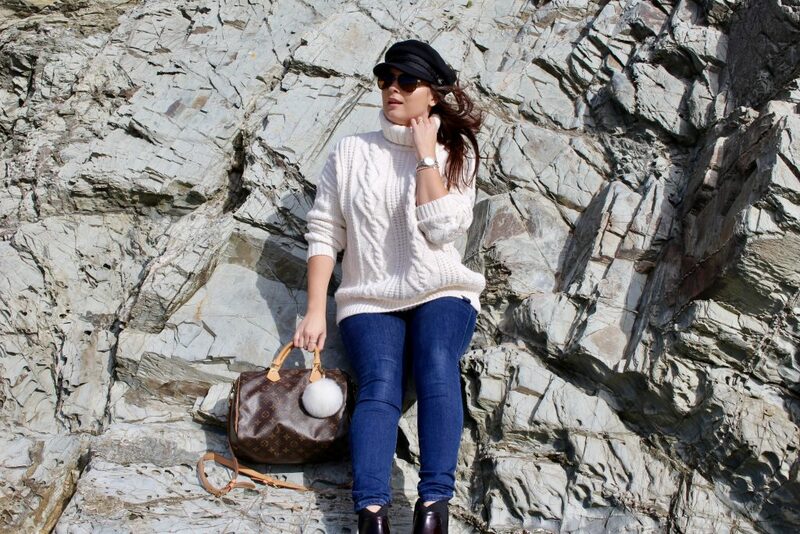 But don’t be fooled by the beautiful blue skies, this is still England and with strong winds, occasional showers and cold temperatures I knew I needed to wear something really warm. 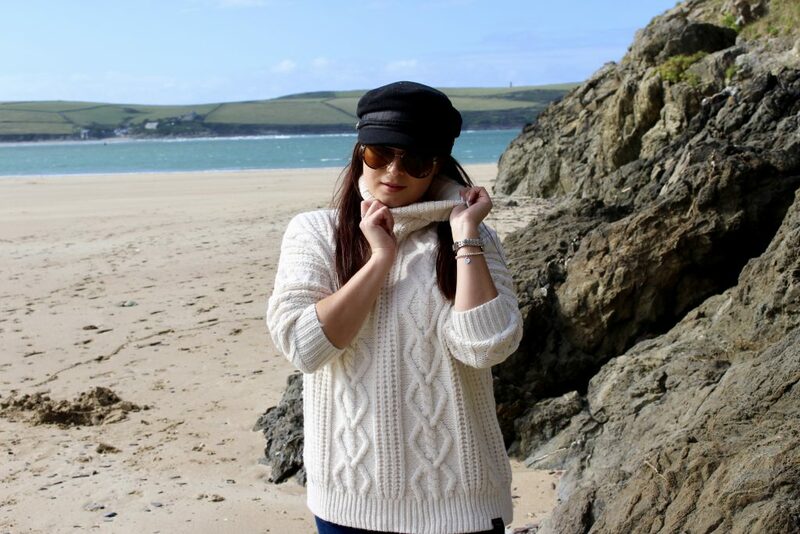 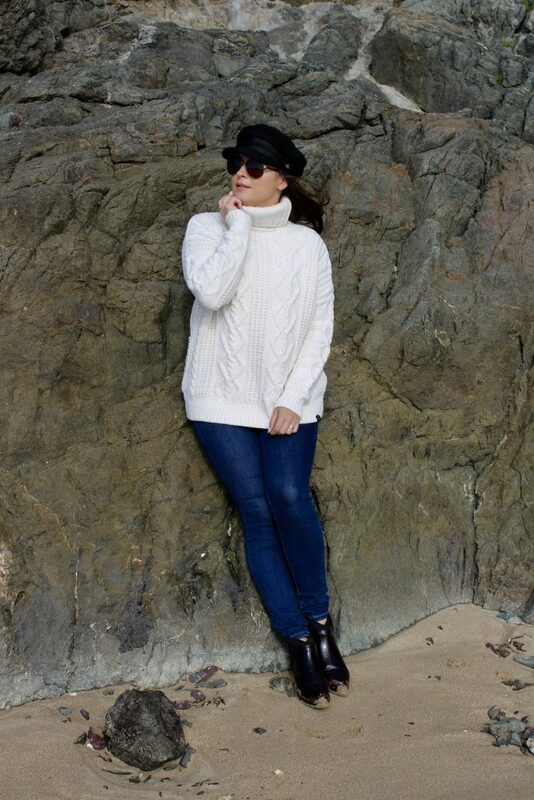 Good thing I have purchased this chunky knit jumper only a week ago in preparation for Autumn. 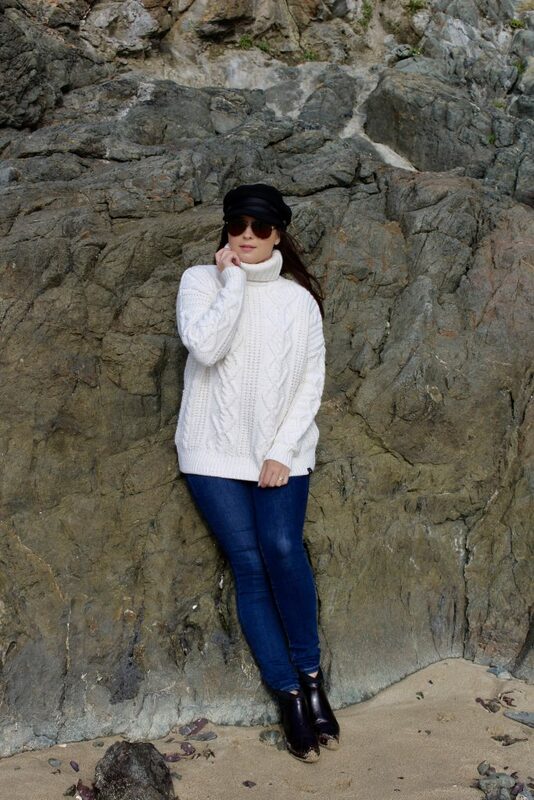 It kept me so warm that I didn’t really need a coat.